At the end of the week that sees the release of their debut LP, Departure,on the Sonic Cathedral label, Stuart Ralston visited his home town to catch up with The Vacant Lots. 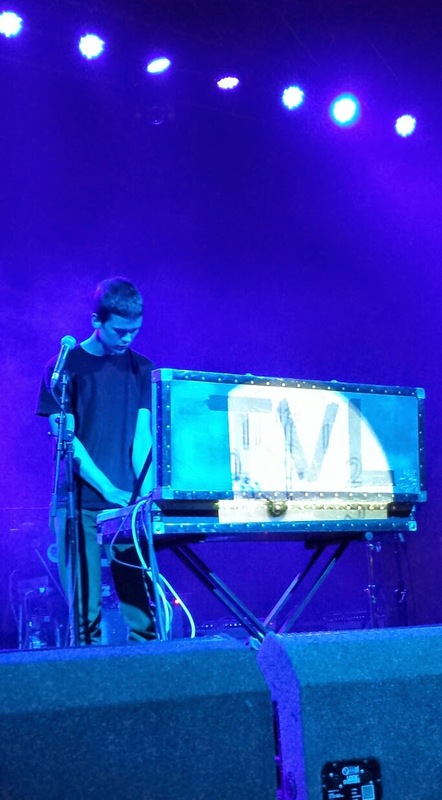 Opening for The Brian Jonestown Massacre on the first leg of their UK tour is a coup for Vermont duo The Vacant Lots, with most of the shows selling out, guaranteeing the band opportunities to win over many new fans. Tickets were exchanging hands for way over the odds outside the venue earlier in the evening. A big expectant crowd were due at one of Glasgow's best music venues. Minutes after the doors opened, the band take to the stage, beginning with a pulsating Never Satisfied featuring Jared on vocals. It's a more relaxed take on the song which features on their stunning debut LP. Clocking in at around 7 minutes it is a brave opener for this their first visit to Glasgow, and on a Saturday night! Jared continues vocal duties for the poppier Mad Mary Jones,which features Brian on organ and percussion at the same time. That's no mean feat. There's even a spoken word section from him too. Brian takes over on vocals for the second half of the set, beginning with a homage to Sonic Boom's post - Spacemen 3 band Spectrum. Paint This City features Spectoresque percussion, and an organ sound Sonic would be proud of. A laid back song with a menacing vocal from Brian before an explosive 6AM closes the set. Jared pushes his guitar to the limits, producing a wall of feedback as he literally wipes the floor with his guitar. And then it was all over. There's a strong response from the crowd but most are not here yet to enjoy it. Whilst it is understandable that venues need to make money, the early show policy denies The Vacant Lots a bigger crowd. Indeed, many members of the audience miss the start of the BJM set too because of the need to get bands on and off, audiences in and out, before reopening as a club venue later in the evening. It is a policy that needs venues to have a long hard think about, as it is clearly putting some gig goers off. The Vacant Lots are a band to watch out for and they return to the UK in September. They play Liverpool Psychfest (26th-27th) with more dates to follow. The Vacant Lots' website can be found here and they are on Facebook and Twitter. We reviewed their debut album Departure here.